On Wednesday, the threshold for entry into force of the Paris Agreement was achieved and the Agreement will go into effect on Nov 4, 2016. In our recent commentary "Climate and Health Co-Benefits in Low-Income Countries," we make the case for independent monitoring to be required for future carbon emission reduction projects. The Paris Agreement allows for an international carbon trading mechanism to be developed that will allow developed countries to purchase carbon credits from developing countries, where greenhouse gas emission projects usually cost less to implement. 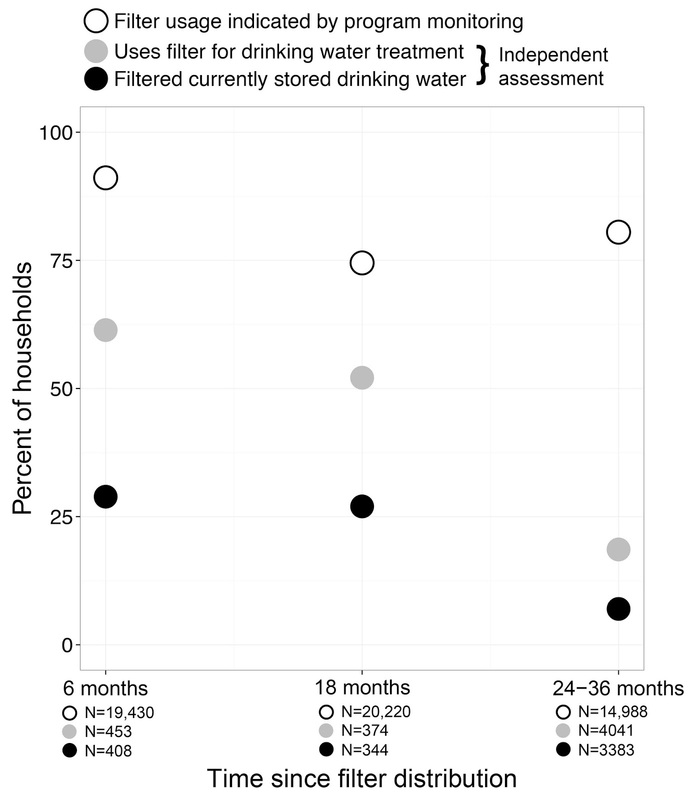 We evaluated a carbon financed water treatment filter project in Kenya - the Lifestraw Carbon for Water project - that delivered almost 900,000 filters free of charge to households in Western Kenya. 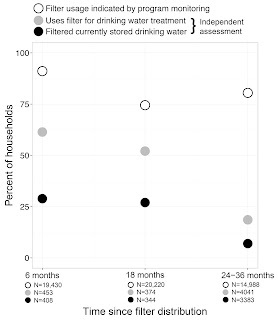 We found much lower levels of usage of the filter than what has been reported by the program - 19% of households reported filter usage 2-3 years after filter distribution compared to program stated usage of 81%. The program is still selling carbon credits online claiming 1 credit is equivalent to 1 ton of C02 emissions reduced and safe water for a Kenyan family for 1 year. Independent monitoring of these types of projects could ensure they are achieving the environmental and health co-benefits they are designed to provide to low income communities.